Learn about liquors to be able to make hundreds of popular mixed drink recipes at American Bartending Schools. 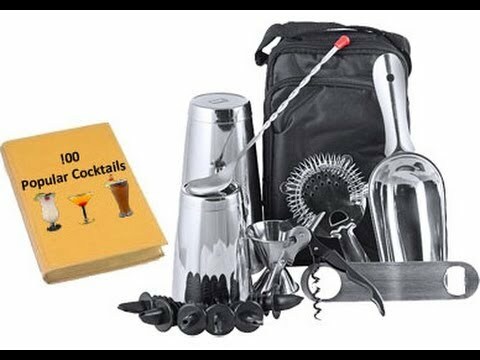 Check out the free video bartending school. American whiskeys are rigidly defined by law, and gov erned accordingly. They include bourbon, corn, sour mash, Tennessee, blended, straight, bottled in bond, and rye. The history of American whiskey and America parallel each other. Whiskey was an integral part of everyday life in the Colonial days. It helped comfort the settlers during hard times and was enjoyed at the end of a rough day. It was also used to cure snakebite, ward off disease, and ease pain both superficially and internally. Virtually all gins in the United States use the word “dry.” You will see it on brand labels that may read, “Dry Gin,” “Extra Dry Gin,” “London Dry Gin,” or “English Dry Gin,” but they all mean the same thing”lacking in sweetness. Originally, “London Dry” meant gin produced in London, but the name “London” is considered to be generic, and therefore it is often used to describe gins produced in the United States. Rum is produced wherever sugar cane grows. Many coun tries, such as the United States, South Africa, and even Russia, produce rum, but it is only the Caribbean Islands that produce rum in quantities sufficient for worldwide export. The islands in the Caribbean each produce a distinctive type of rum, the result of the base material used, the method of distillation, and the length of maturation. Generally, the islands where the Spanish language is spoken, such as Puerto Rico, produce light, dry-tasting rums. The English speaking Caribbean islands produce dark, heavy-tasting rums. Clear color, taste the same as the Brown Cr me De Cacao.